The use of animal models is essential in carrying out research into clinical phenomena such as addiction. However, the complexity of the clinical condition inevitably means that even the best animal models are inadequate representations of the condition they seek to mimic. Such mismatches may account for apparent inconsistencies between discoveries in animal models, including the identification of potential novel therapies, and the translation of such discoveries to the clinic. 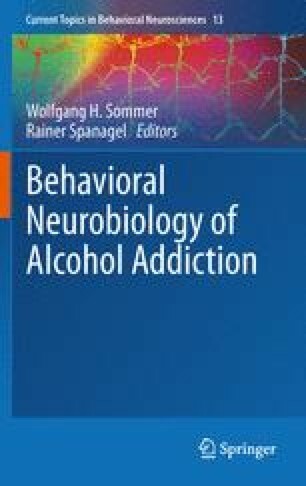 We argue that it is overambitious to attempt to model human disorders such as addiction in animals, and especially in rodents, where “validity” of such models is often limited to superficial similarities, referred to as “face validity” that reflect quite different underlying phenomena and biological processes from the clinical situation. Instead, we suggest a more profitable approach may be to identify (a) well-defined intermediate human behavioral phenotypes that reflect defined, limited aspects of the human clinical disorder, and (b) to develop animal models that are homologous with those discrete human behavioral phenotypes in terms of psychological processes, and underlying neurobiological mechanisms. Examples of current weaknesses and suggestions for more limited approaches that may allow better homology between the test animal and human condition are made. This article is a development of an earlier work by the present authors in collaboration with Chris Cunningham, John Crabbe and Markus Heilig. We acknowledge our debt to our previous co-authors for certain ideas that are developed in the present article. New errors are entirely our own. Work in the authors’ laboratories is supported by the UK Medical Research Council, and by the European Commission InterReg Project “AlcoBinge”.